Voting system: Each country had 10 jury members who each cast one vote for their favourite song, like in the years 1957-1961. 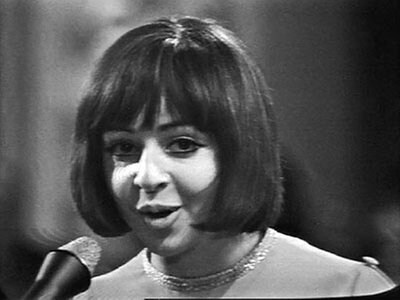 The Eurovision Song Contest 1967 was the twelfth Eurovision Song Contest. The winning entry Puppet on a String, sung barefoot by Sandie Shaw and written by Bill Martin and Phil Coulter had one of the widest margins of victory ever witnessed in the competition; it garnered more than twice as many votes as the second place song. The presenter, Erika Vaal, became confused whilst the voting was taking place, and declared the United Kingdom's entry to be the winner before the last country, Ireland, had announced its votes. Sandie Shaw intensely disliked the composition, though her attitude towards the song somewhat mellowed in later years, even releasing a new version in 2007. The venue for the 1967 contest was the Hofburg Palace, that has housed some of the most powerful people in European and Austrian history, including the Habsburg dynasty and rulers of the Austro-Hungarian empire. It currently serves as the official residence of the President of Austria. It was the Habsburgs' principal winter residence, as the Schönbrunn Palace was their preferred summer residence. The Hofburg area has been the documented seat of government since 1279 for various empires and republics. The stage setup was a little bit unusual this year. There were two revolving mirrored walls on both ends of the stage and started revolving at the start of each song and stopped revolving at the end of each song. Some female singers made a complain about this beacause some camera shots were not flattering. The stage seemed to distract both the performers and the audience. The mirrors may well have distracted presenter Erika Vaal and the scoreboard operators as well, because the scruteneer Clifford Brown had to interrupt the voting more often than usual. 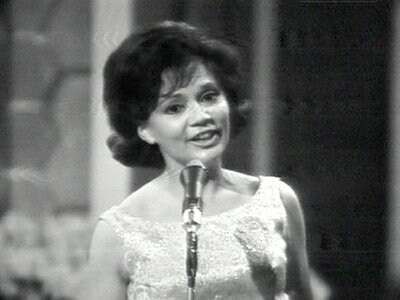 The entry from Luxembourg, L'amour est bleu, sung by Vicky Leandros, came in fourth; nonetheless, it went on to become the biggest international hit of the 1967 contest, and a year later would be a big instrumental hit for French musician, Paul Mauriat, under the English version, Love is Blue. Denmark chose not to participate and left the contest at this point, to return in 1978. The reason was that the new director for the TV entertainment department at DR thought that the money could be spent in a better way. The United Kingdom's win was their first. Television presenter, artist and musician, Rolf Harris provided the commentary for BBC Television viewers. Switzerland received zero votes for the second time. Portugal was represented by Eduardo Nascimento who was the first black male singer in the history of Eurovision Song Contest, performing O vento mudou. Rumours claimed that Portuguese prime minister Salazar had chosen this particular singer to show the rest of Europe that he wasn't racist. Three artists returned in this year's contest. Claudio Villa from Italy who's previous participations were in 1962; and Kirsti Sparboe from Norway, who last participated in 1965; and Raphael for Spain who last represented the Iberian nation in 1966. Sanremo winner Claudio Villa was chosen to be the Italian entry for the ESC in Vienna and got to the rehearsing stages but the song Non pensare a me was released too early, so just days before the contest Claudio Villa had to change songs.